This book reviews the interplay between domestic contexts and democracy promotion efforts in selected countries of the former Soviet Union and the Western Balkans. The idea behind the six case studies is twofold. 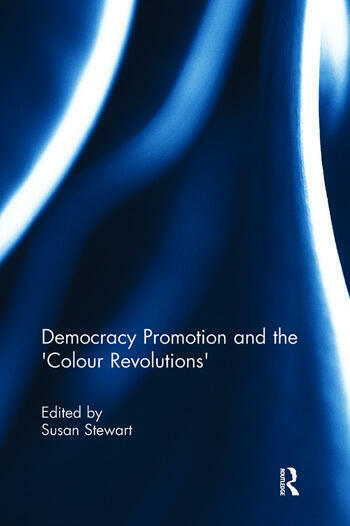 In the three cases where ‘colour revolutions’ occurred (Serbia, Georgia, Ukraine), the authors explore the extent to which external democracy promoters adapted their strategies to respond to new domestic contexts. In the other three cases (Azerbaijan, Belarus, Russia) the authors investigate how the political leadership has reacted to ‘colour revolutions’ elsewhere and which consequences their reactions have had for democracy promotion. In all cases an assessment of democratization processes in the country is provided as a basis for drawing conclusions about the potential for domestic and foreign actors to promote democratic development. An introduction and conclusion embed the case studies in the existing literature on democracy promotion and generalize the findings across the countries studied. On the practical level, the volume offers suggestions for improving democracy promotion endeavours, proposing in particular a more balanced approach which goes beyond supporting specific individuals and organizations to include addressing the structural level. Susan Stewart is a Senior Research Associate at the German Institute for International and Security Affairs in Berlin. She specializes on EU-Russia relations and the foreign and domestic policy of Ukraine. From 1995 to 2007 she was engaged in research and teaching at the University of Mannheim, Germany.